Figure 4. Mechanical NomPositive Type Fuel Pump. chamber to cushion the pulsating action inherent to the diaphragm-type pump. lower chamber and leaking from the venthole. the diaphragm pull rod is solidly linked to the rocker arm. bypass excess fuel back to the fuel tank. 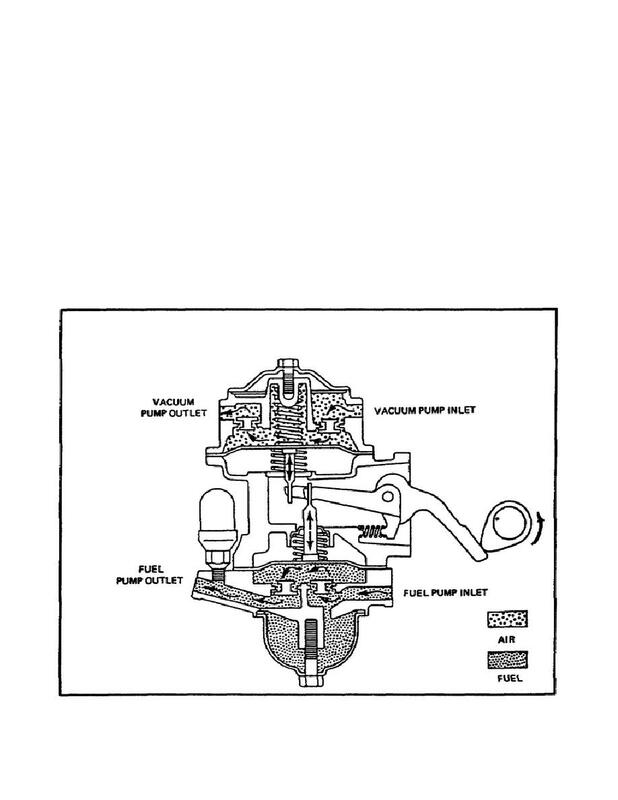 e. Double Action Fuel Pump (figure 5).